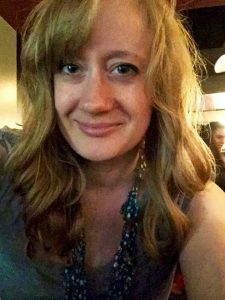 Krista Cox is a paralegal, an associate poetry editor at Stirring: A Literary Collection, and the Program Director of Lit Literary Collective, a Michiana-based non-profit dedicated to serving the local literary community (check facebook.com/litmichiana for more info). Her poetry has appeared or is forthcoming in Antiphon, Whale Road Review, and Pittsburgh Poetry Review, among other places. Find her work and more about her at kristacox.me. Krista will be performing during the Speakeasy @ Artspace and you can find her at the Sundress Publications table during the Book & Zine Fair!